July is almost over. What? Seriously, where is this year going and what on earth have I been doing to make it pass so quickly? Over the past few weeks I've been up to a bit of this and a bit of that but luckily Instagram has been capturing these moments along the way. I love that I can share random and often bizarre or strange moments with everyone back home or here in Australia, moments that I normally wouldn't ever share (for example what I had for dinner last night or the random Rail Corp band that was serenading everyone at the train station today on my way home from work) and yes its strangely voyeuristic but comforting at the same time. Is that strange? I suppose so but get on Instagram and you'll see what I mean, trust me. This month I've been playing along to #interiorsphotomonth so if you check out my feed you'll mostly see some images and snippets of life at home, in all its mundane glory. 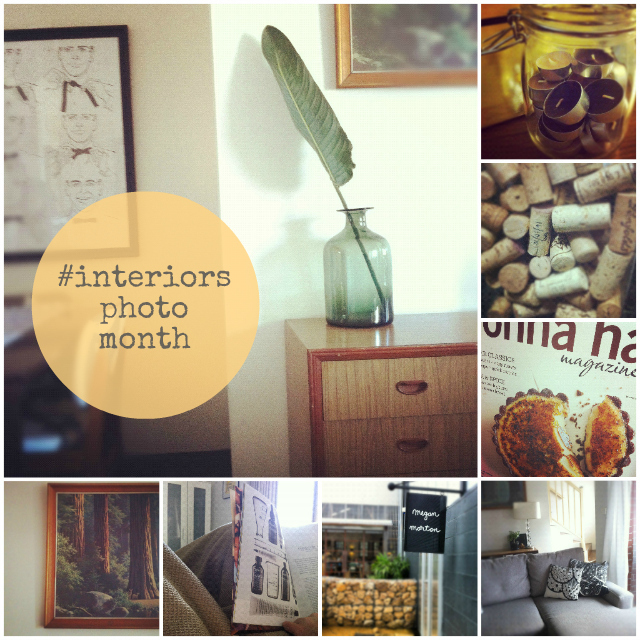 I'm playing along with #interiorsphotomonth too (and following you!) and loving it! Can't quite believe we're past the July half-way mark. '...strangely voyeuristic but comforting at the same time.' Yeeup!